Acora IT Outsourcing - Exponential-e Ltd.
Reseller reaps benefits of Senior Management synergy and complementary services. WAN, Data Centre Connectivity and Business Internet. 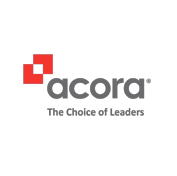 Acora deliver IT outsourcing services to mid-market companies.